According to Digitimes Apple is going to launch three new iPhone for 2020 that will mount the display OLED ( O rganic L ight E mitting D iode or organic light emitting diode). The current collection offers OLED screens on iPhone XS and iPhone XS Max , but iPhone XR uses a lower resolution LCD panel for cost savings. The three new iPhones seem to come in new screen formats: 5.42 “, 6.06” and 6.67 “. The Wall Street Journal had previously written that Apple would switch to OLED displays for next year’s iPhone models. The interesting thing about the Digitimes article is the details on the new screen sizes. The radically different dimensions shown in the article suggest big design changes for iPhones. The 6.67 “model would be the biggest ever launched on the market, at least in terms of screen size. Depending on how Apple handles the outline of the device, the physical size of the phone may, in any case, not be much larger than today’s XS Max. The iPhone 6.06 OLED would be the most obvious successor of the iPhone XR since the screen size is identical to the current iPhone XR. In the detailed information Apple reports that iPhone XR has a 6.1 “screen but by reading the small text it is a rounding from 6.06” to the nearest tenth of an inch. Switching from LCD to OLED would result in better contrast levels. OLED displays do not have a backlight, which means they can turn pixels independently, enabling them to offer true shades of black. The announcement of a 5.42 “model is particularly interesting as this model is smaller than the 5.8″ XS iPhone. The Digitimes article also reports statements about the use of LG or Samsung screens in this model, aiming for a lower cost of the display component. Perhaps the iPhone 5.42 “is the new” low-end “model, with Apple returning to a market strategy of” the smaller screen costs less “. Digitimes did not show a high level of reliability, announcing recently that Apple was about to launch AirPower a week before the company announced the abandonment of the project. However the information on the suppliers of the panels for iPhone is something of tight domain of Digitimes. Apple prepares its supplier chain many years before, so it is not surprising that details on next-generation mobile phone providers are already in the open. For 2019, Apple will present repetitive updates of the iPhone XS, iPhone XS Max and iPhone XR. The overall appearance of the 2019 iPhones will not change much compared to the 2018 models. Users will be able to load AirPods on the back of the 2019 iPhones. There will be camera upgrades including a dual-camera module as standard on the iPhone XR and an option of triple lens on some models. 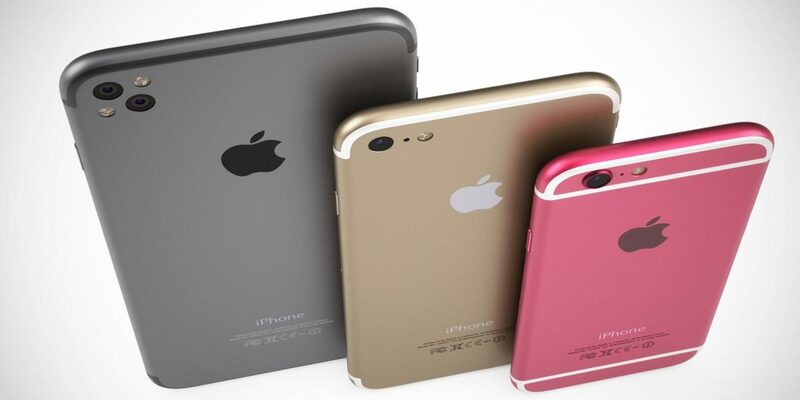 Apple will announce its trio of new mobile phones in the fall, most likely in a new event in September.